E3 Consulting is proud to be sponsoring the Alresford Town Reserves for the 2016/17 season. E3 Consulting, a Southampton based specialist Property Taxation practice, is proud to be sponsoring the Alresford Town Reserves for the 2016/17 season. The team play in the Wyvern Combination. Rupert Guppy, Senior Property Tax Surveyor at E3 Consulting is the Assistant manager and coach for the forthcoming season. 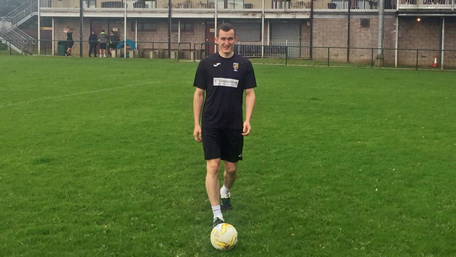 Our sponsorship of the team is part of E3 Consulting’s wider community engagement and at the same time to actively support Rupert both with his volunteering in the football sector and equally his own personal and professional development. E3 Consulting specialises in helping property investors, developers and occupiers reduce their tax liabilities by optimising the available tax allowances and incentives against their real estate expenditure. We work collaboratively with those involved in commercial property, across a broad range of sectors, on projects throughout the UK. Our main services relate to Capital Allowances, VAT, Land Remediation Tax Relief, Community Infrastructure Levy (CIL) and Tax Increment Financing (TIF).